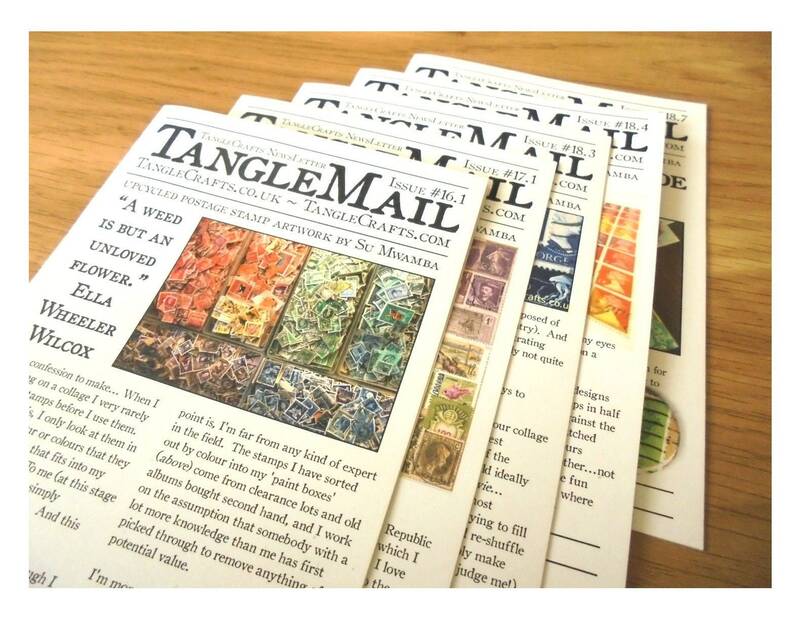 I started writing the TangleMail Newsletter about a year ago and usually pop an issue or two in with each order that is sent out. 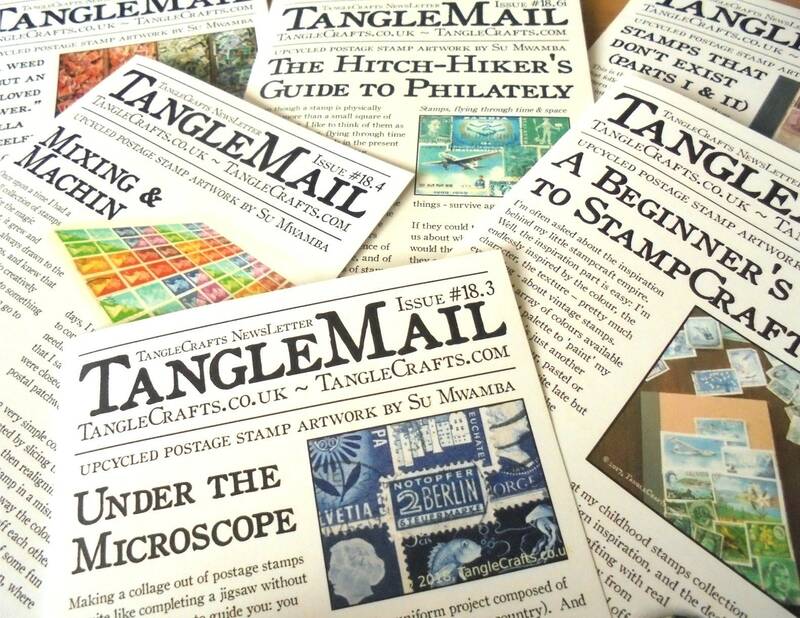 Whether you have missed out on a particular issue, or just like reading about stamp-y stuff, this little bundle will help to fill the gap! 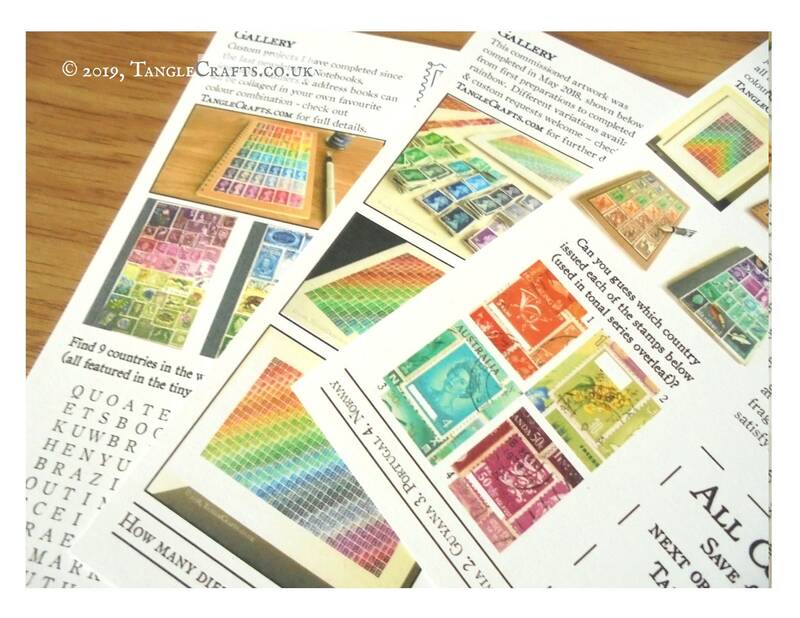 Each issue contains an editorial feature about one aspect or another of my work, whether an aspect of my actual creative process, research into individual stamps I've come across, or something tangentially related such as letter writing, stamp collecting, notebook design, or crafting with stamps. 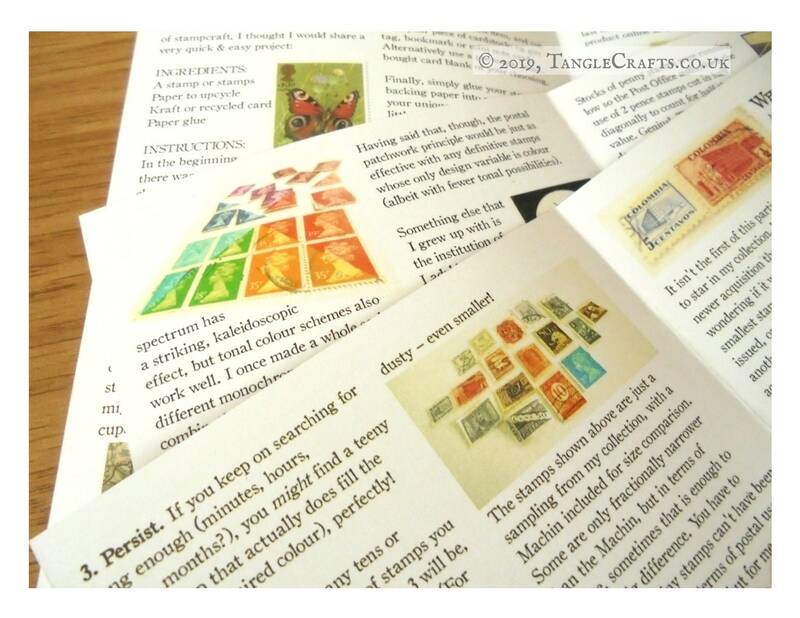 One or two issues contain project instructions; and additionally, most include a summary of new items in my shop, a gallery of recent custom projects, a quick puzzle, and a special offer discount code. Select from an individual issue, or a random mixed bundle (may contain different issues than those shown, depending on availability). Multiple bundles will include duplication. 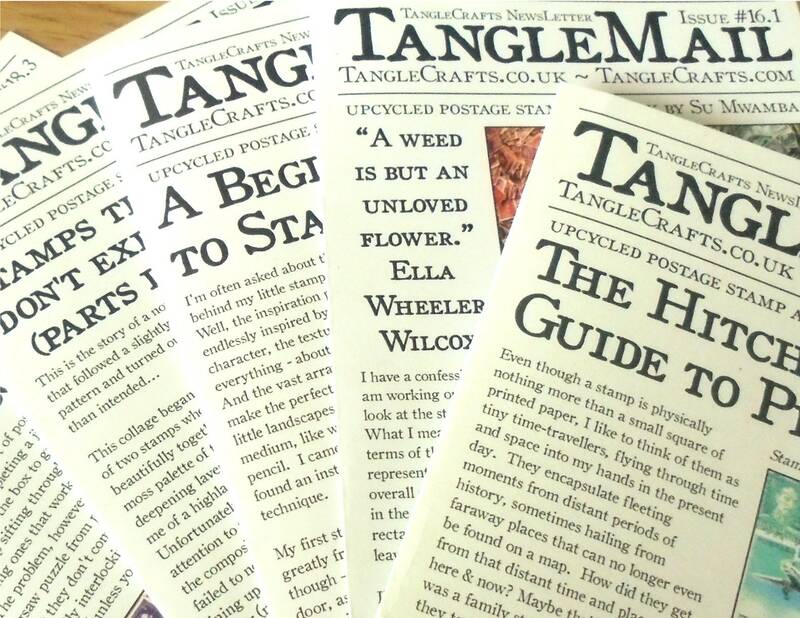 If you are new to TangleCrafts, I will also include a free half-issue of the newsletter, which includes instructions on how to soak stamps from an envelope. 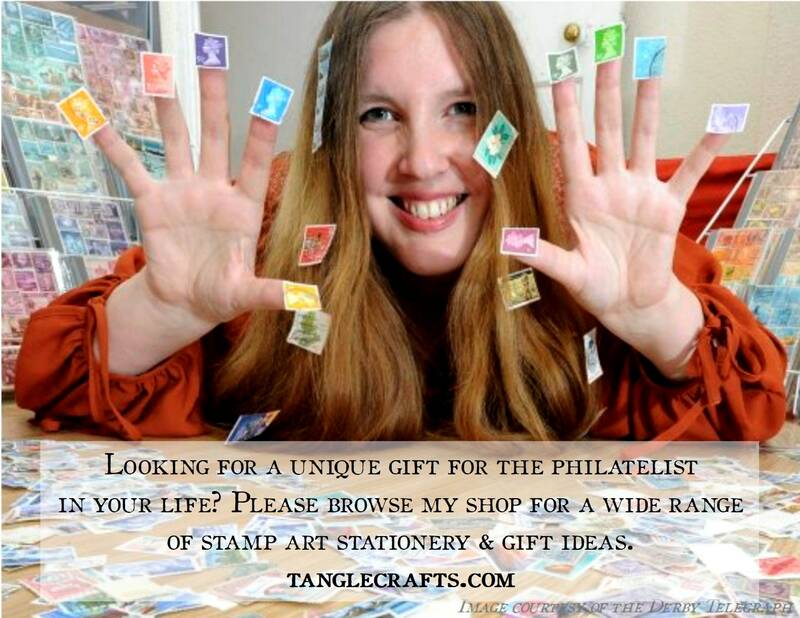 16.1 - "A weed is but an unloved flower" - editorial feature about my collage process and potentially forged stamps. 18.5 - The Writing on the Page - why I'm more likely to collage a notebook than...anything else! 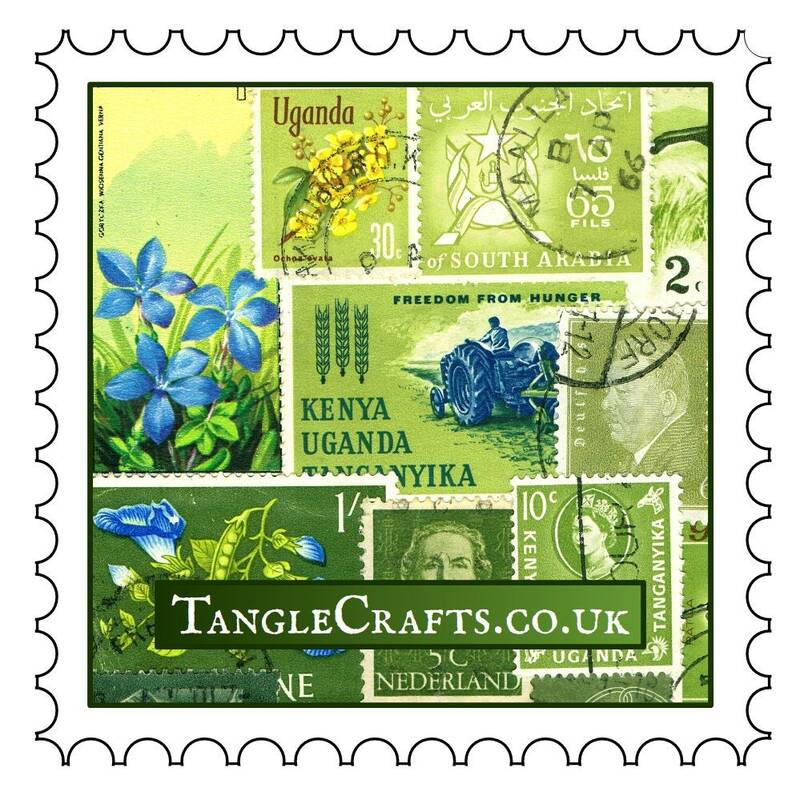 **COMING SOON** 19.4 - Winging It - Birds on stamps & a philatelic scandal from the 1970s! New issues for 2019 will continue to be added throughout the year! * A6 size = 10.5 x 14.8cm = 4.1 x 5.8" approx.